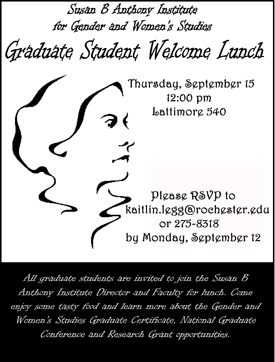 All graduate students interested in gender and women's studies are welcome! Come meet like-minded peers and have your questions answered. Lunch provided by SBAI; please RSVP by 9/12/11.